Pip White started Pippaluk Crafts some five years ago. 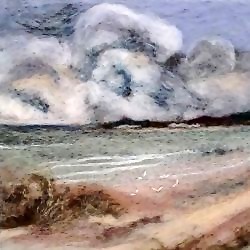 She now specialises in needle felt landscape and coastal scenes felted mainly from Merino fleece but also using more exotic fibres such as yak and silk mixes. Her pictures depict well known and loved scenes, particularly of the Jurassic Coast in Dorset. Working from home she sells her work on Etsy. 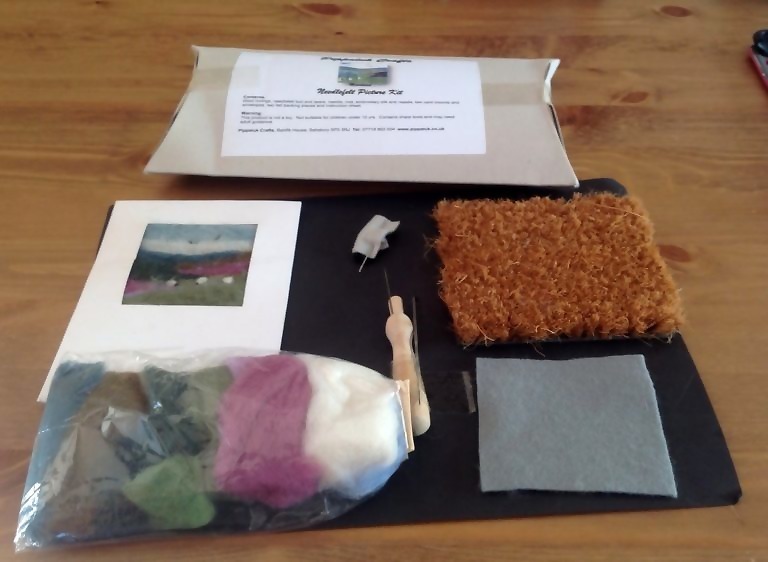 Pippaluk Crafts also retail tools and colour palettes of fleece particularly designed for landscapes. Workshops held regularly with discounts for larger groups. All enquiries welcome. 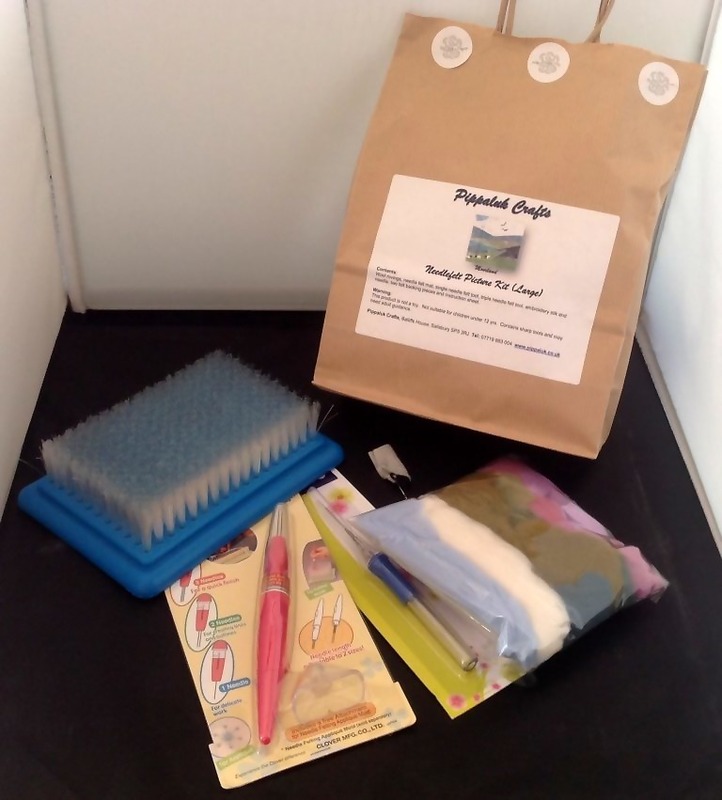 Everything you need to create two pictures approx 2.5″ square including two gift card mounts and envelopes. £15 including postage to UK. 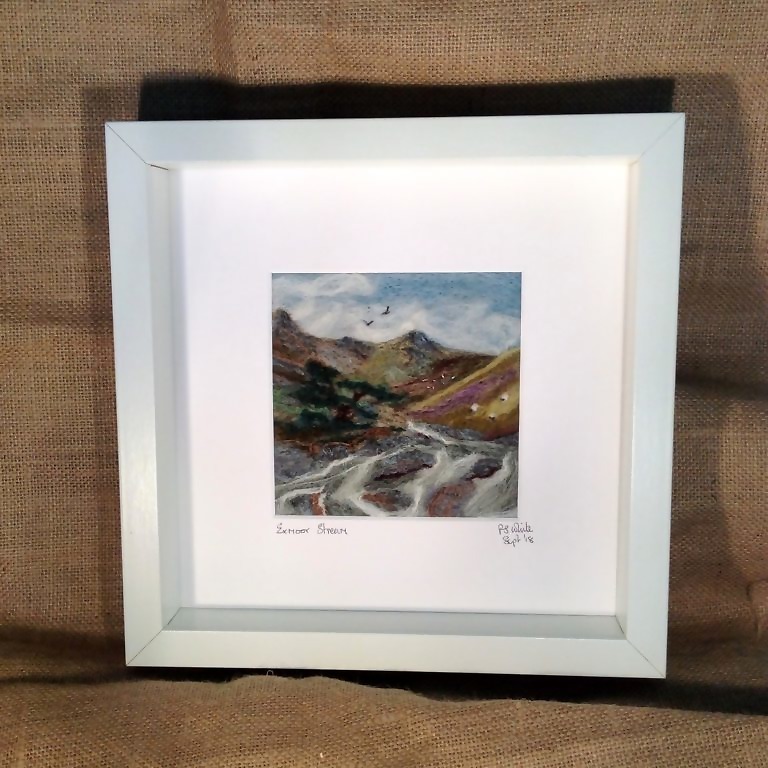 Needle felt picture of a moorland scene. Overall size including frame is 23 x 23 cm. £40 including UK postage. 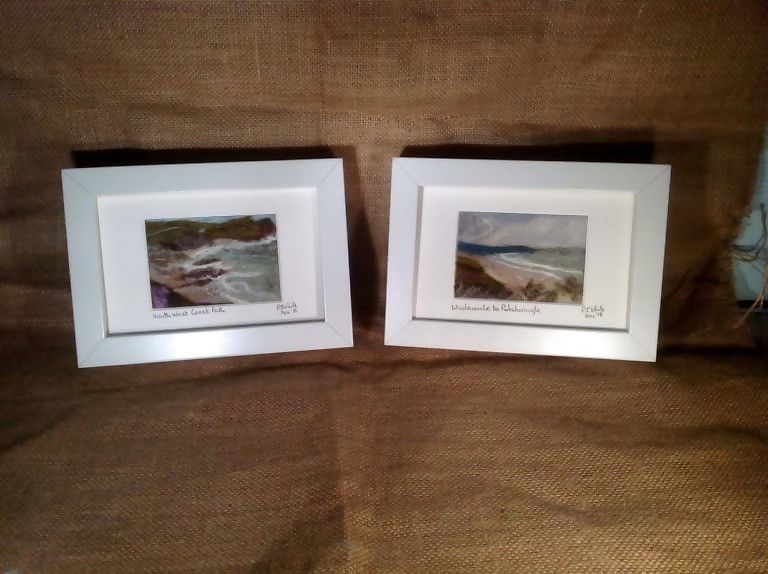 Needle felted landscapes of coastal scenes Overall size (including frame) 10 x 15 cm . £25 each including UK postage.